LAHORE: A three-day visual and performing arts festival organised by the Institute for Art and Culture (IAC) commenced Friday with a colourful and vibrant ceremony. International theatre activists from 10 countries were also present who are visiting Pakistan to participate in second annual “Tamasha Festival” hosted by IAC in collaboration with ASSITEJ Pakistan. Tamasha Festival will run parallel to IAC mela, an amalgamation of Arts and Film Festivals, juried art and design competitions and exhibitions. In the opening ceremony, energetic Dhol player welcomed the participants with cheerful drum beats, after that Shoaib Iqbal, president ASSITEJ Pakistan, introduced the foreign participants of Tamasha Festival.  He highlighted the objectives of the festival and said that theatre activists from South Korea, Germany, South Africa, Sri Lanka, USA, Romania, Montenegro and Philippines are participating and have collaborated with 15 Pakistani participants for the development of an exclusive play which will be premiered on 14th April - the concluding day of the festival. IAC’s Pro-Vice-Chancellor Professor Pervaiz Vandal warmly welcomed the participants of both festivals. In the inaugural speech, he said that IAC believed in promoting tolerance through visual and performing arts. IAC Mela and Tamasha Festival not only will project our cultural ingredients with a blend of colourful performances and competitive programmes but also help young artists to showcase their talent and creative expressions. These festivals will contribute greatly in reviving the cultural spirit of the city. Tamasha 2019 – International Performing Arts Festival will feature nearly 30 performances from active theatre groups, educational institutes and leading dramatic societies, which will be presented simultaneously in different venues at IAC. In the opening ceremony, IAC’s Choir society presented a melodious performance. The half-hour performance was a beautiful rendition of folk and Sufi mash-up. Four groups, including UET Dramatic Society, a private school and Ninegu Theatre Company from China, presented their plays and performances on thought-provoking themes which got outstanding response from the appreciative audience. Exciting competitions regarding poster design, art and photography were held in IAC gallery where a striking exhibition of delightful creative artwork received praise from the visitors. Colourful stalls reflecting the cultural crafts, jewellery designs, traditional clothes and handicrafts are also part of the three-day cultural extravaganza.